If your travels being you to France during the winter, a must see is a French Christmas market (Marché de Noel) and there’s nowhere better than than the Alsace for such a magical experience. There are a number of towns you can visit, but high on your list (as was ours) should be the picture-perfect town …. Here in SW France duck is very popular – from Cassoulet to confit. Many guest tell us they have never mastered cooking a duck breast so here’s our recipe and a couple of ideas of the perfect accompaniments too! Generally speaking, a large duck breast will serve two as a main course. Look for ones …. Six years ago, Paris welcomed a new luxury five star hotel to the City’s tree-lined avenues, the first European property for Hong Kong-based Shangri-La Hotels & Resorts. Joining some illustrious, and well established, names on the hotel scene of France’s capital, the property would see the merger of French ‘art de vive’ with Shangri-La’s …. As we come to the last week of our 9th season running La Villa de Mazamet, we look forward to having time to gain new insights, experiences & inspiration from our own travels. Many guests who pass through our doors comment on our attention to detail. This is something we very much pride ourselves on …. This is both one of our guest’s favourite dishes when we serve dinner at La Villa de Mazamet & is the the recipe requested the most. By twice-baking the soufflés you take the majority of the stress out of serving these for a dinner party and they can be made a full day in advance …. When we were searching for a property to run our B&B, accessibility was one of our key priorities and La Villa’s location, and ease of travel to Mazamet with its proximity to good transport links, helped with our purchasing decision! Some guests choose La Villa as their single-holiday accommodation for a week or longer …. That’s a question guests often ask before booking a stay with us and, in no particular order, these are our top 10 right on the doorsteps of Mazamet: Montagne Noire – Mazamet’s wonderful backdrop is the stunning Montagne Noire montagne range which, despite is name, is an oasis of green for most of the year …. As the most visited country on the planet, France has long attracted tourists who flock to visit its iconic cities & institutions; take wonder at its stunning natural scenery & diversity of landscape and are in awe at its Roman & medieval history that has left its mark on both the built environment & culture. …. During our very recent last delightful visit to La Villa de Mazamet in SW France, we were enjoying the delicious Rosé from Chateau de Salitis. Our hosts introduced us this wine last year. Mark and Peter suggested we visited the producer’s vineyard. We were very happy to do this, especially as it is only a …. This month, we take you to the Gaillac region which sits to the north of Mazamet and is a lovely drive via Lautrec and the rolling countryside which is dotted with both vineyards & fields of sunflowers. 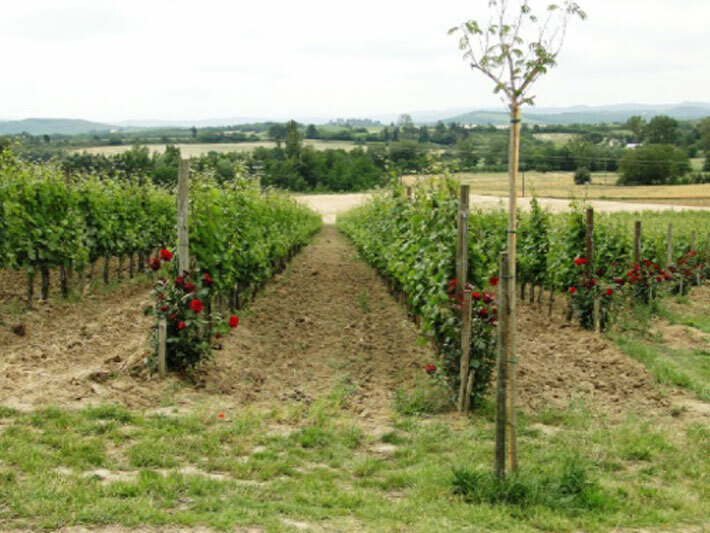 The AOC of Gaillac is one of the oldest wine regions of the ancient region of Gaul (an ….